Tonight's dinner was fish plus lots of goodies from my garden. 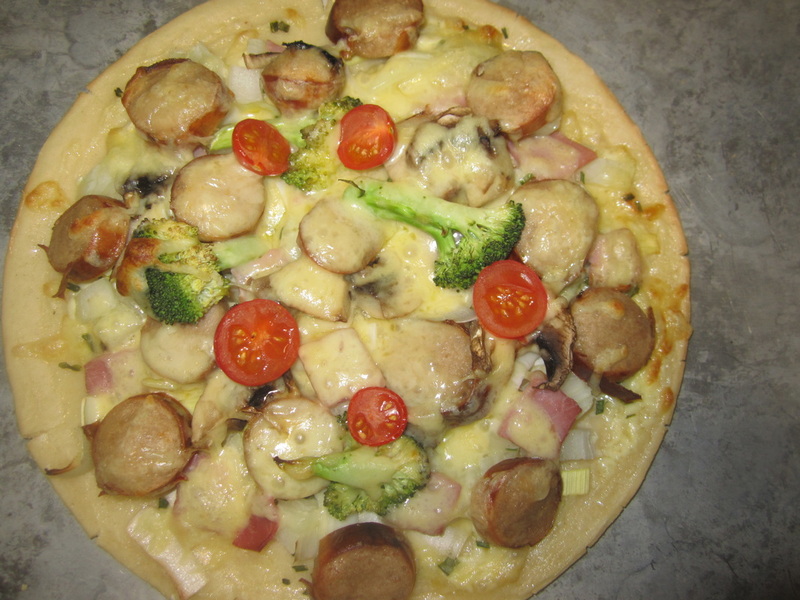 This recipe is gluten and dairy free. For the step-by-step on how to make all three dishes simultaneously (with lots of photos) which is how it really needs to be done, check out the post on my garden blog. Below are the individual recipes. Prepare herbs and set aside in bowls. Coat fillets in flour. Heat a little coconut oil in a non-stick frying pan. Saute fennel, then remove from pan and set aside. 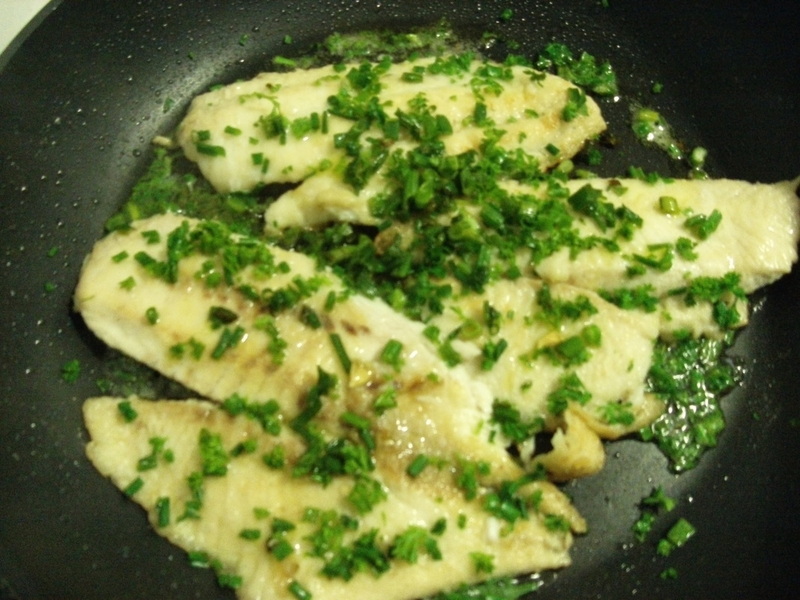 Place fillets in frying pan over medium heat (add more oil if needed). Cook until just tender, turning carefully once. Return fennel to pan, sprinkle over chives and parsley. Squeeze over some lemon juice and drizzle with olive oil. Remove from heat. Preheat oven. Place the chunks of pumpkin in a lidded casserole dish. Sprinkle with salt (I used Himalayan mineral salt) and add 1/2 cup water to steam the pumpkin. Cover with lid and bake at 180C until tender. Meanwhile, toss the peeled garlic in a little olive oil to coat. Spread in a small oven proof dish. Bake until golden brown and tender, shaking to stir every few minutes to avoid burning. When pumpkin is cooked, drain liquid off, add roasted garlic and a sprinkle of nutmeg and mash. Wash silverbeet/chard. Cut off stems and put aside to be used in soup another day. Slice leaves down centre in direction of stem, the cut across-wise into sections about 1.5cm wide. Place in bowl and set aside. Heat a little coconut oil in a large pot. Cook bacon until done, then remove to a plate and chop up. Add silverbeet/chard to pot, add chopped bacon and sprinkle with salt. Toss together a little, then cover and let steam until tender. Really just another version of Basic Casserole, this one has no tomatoes and is low in amines, glutamates and salicylates. Added flavour comes from using homemade chicken stock instead of water. 2) Dice meat into cubes, and place in large oven proof, lidded casserole dish with all other ingredients. 5) Prior to serving, thicken if desired by mixing 3 heaped TBSP rice flour with enough water to make a slurry, then stire into casserole and bake a further 10-15 mins. What's not to love? 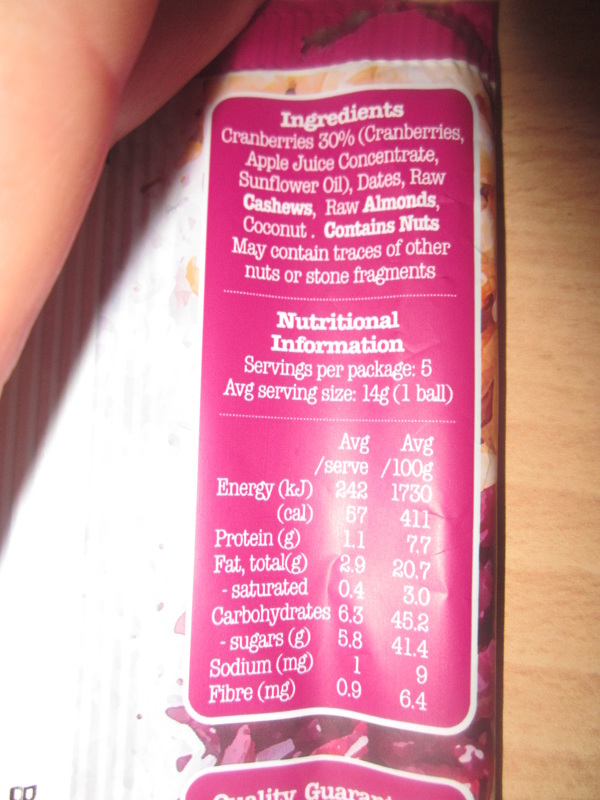 Sweet, tasty treats made with all natural ingredients, no added sugar. 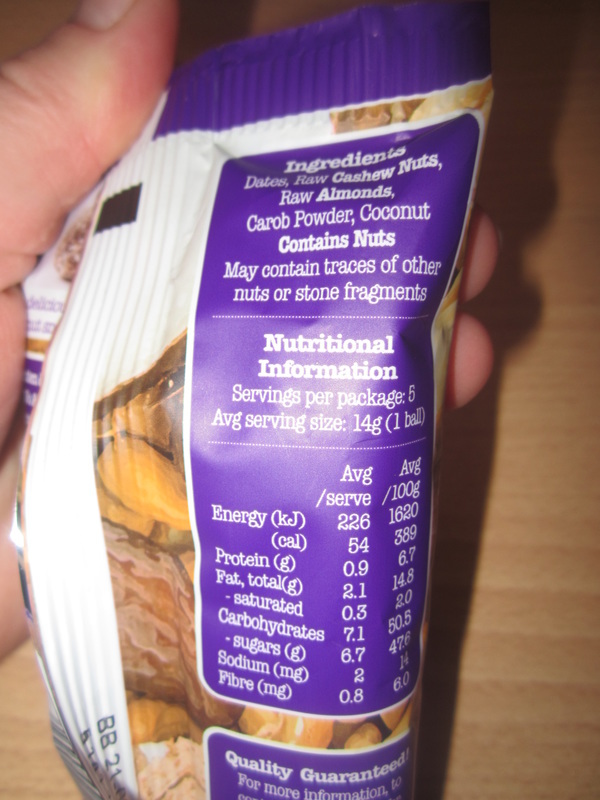 Well, they are quite high in carbs. But for an occasional treat in limited quantities, and something you can buy in the supermarket, these are pretty great! 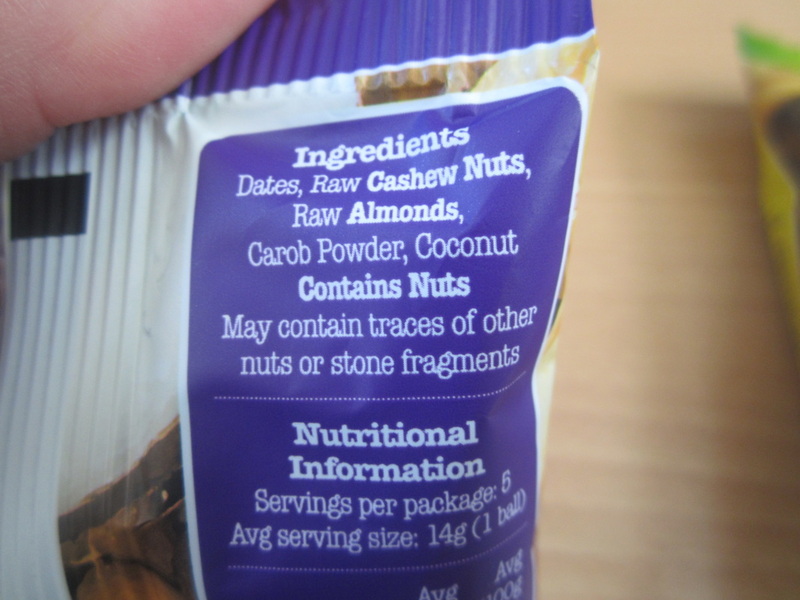 When I find a good sugar & gluten free healthy product, I've decided to post about so others will know where to find them. Hot chocolate has always been one of my favourite drinks. Due to my thyroid condition and salicylate sensitivities, coffee and tea are a bad idea for me, and I'm limited in my choice of herbal teas too (most are high in salicylates and a few interfere with thyroid function). Most hot chocolates, however, are loaded with sugar, and so far home-made cocoa alternatives have not appealed. 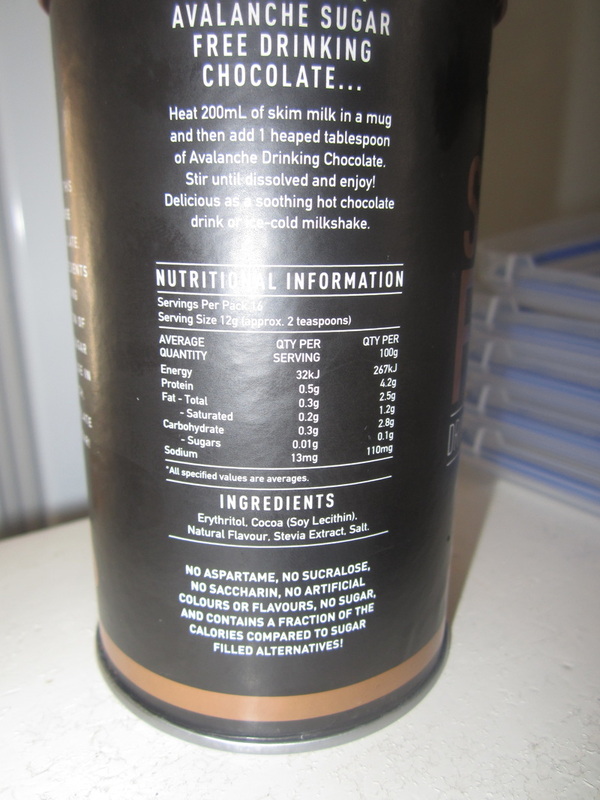 I heard recently the Avalanche range had sugar-free hot chocolates, so I went hunting. 4 supermarkets later and I finally found this one in New World, Palmerston North. It was so cold (3 degrees near midday) I went straight to a local coffee counter and asked them to make me a hot chocolate with it. Bliss - heat in my hands and a nice drink too! Avalanche also have a Kid's sugar free hot chocolate, though I've heard it is less strong on the cocoa, so you tend to use more, but I haven't found in local stores. 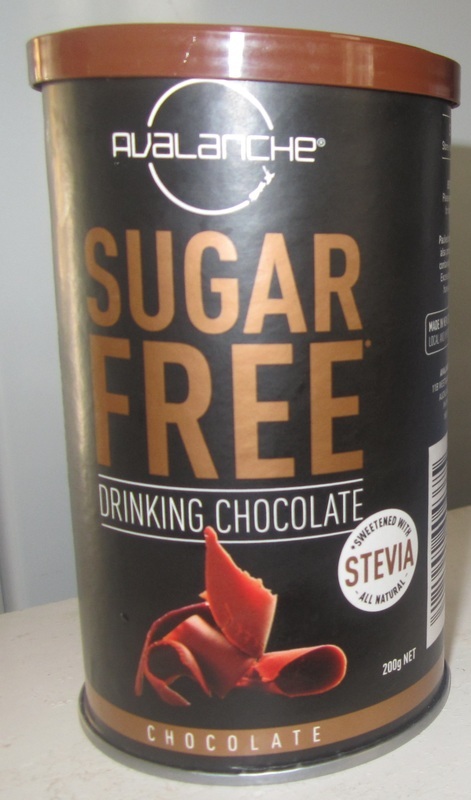 The hot chocolate is sweetened with stevia and erythritol, both acceptable sweeteners. Stevia is a plant you can grow in your garden - the leaves are 100 times as sweet as sugar (by weight), Erythritol is a sugar alcohol that doesn't affect the blood sugars. However, anything sweetened with alternative sweeteners should be used as an occasional treat, not consumed in frequent or large quantities. I'm limiting myself to one hot chocolate per day, maximum. Water is still the healthiest drink. 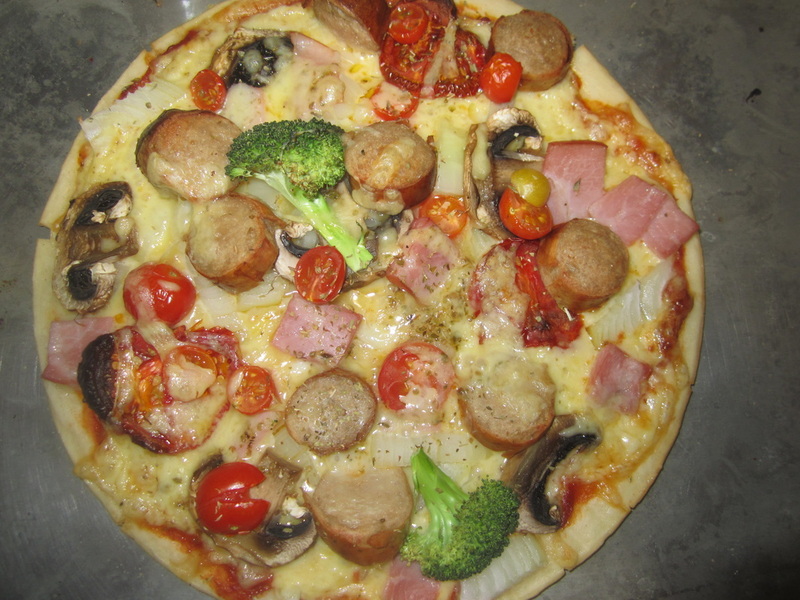 A fun lunch or dinner that caters for multiple preferences and food intolerances is build-your-own-pizza. 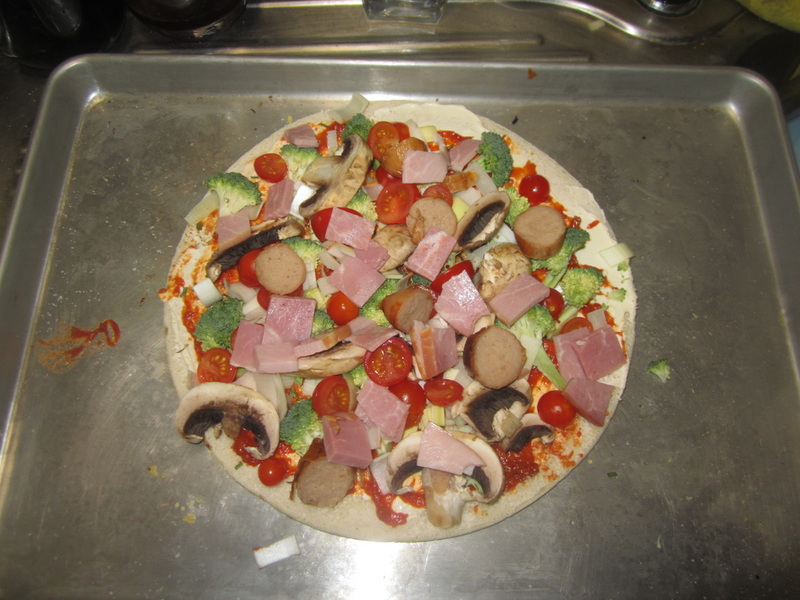 Lay out lots of topping choices and each person creates their own pizza, which is then baked and enjoyed. 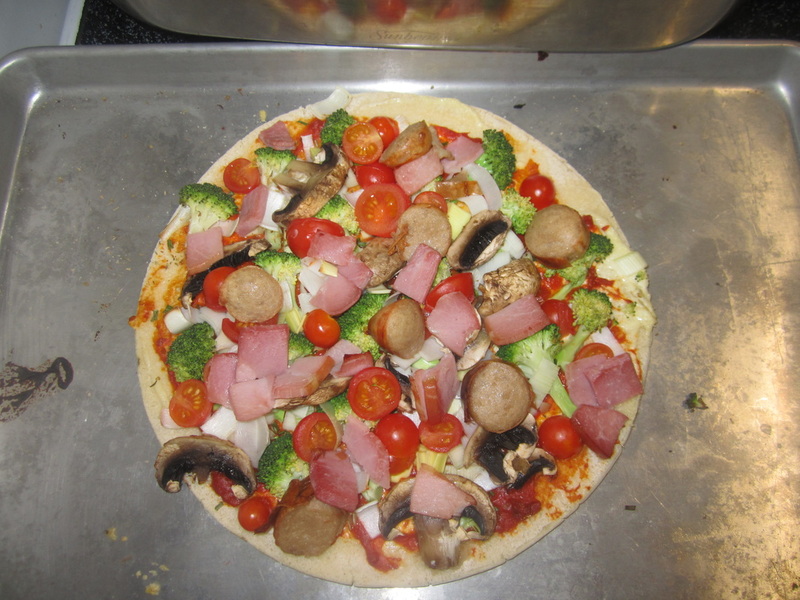 1) Select pizza bases - make your own, or in this case I had some Freedom gluten-free pizza bases in the freezer. 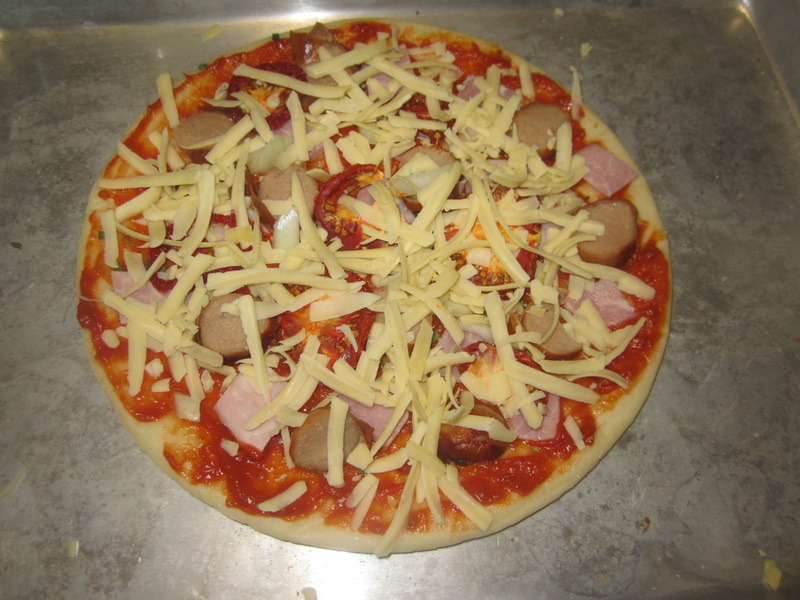 3) Heat oven to 200C/400F, let each person assemble their own pizza, then bake for 12-15 mins until done. Slice and enjoy. Left overs can be refrigerated and used for lunch or snacks the following day. 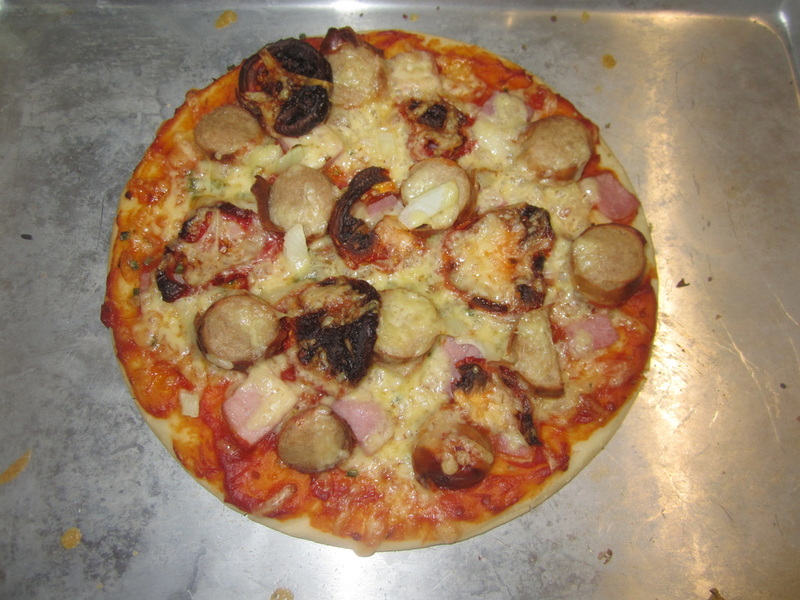 These photos are of the four different pizzas my family assembled, taken before and after cooking. Each had what they like :-). 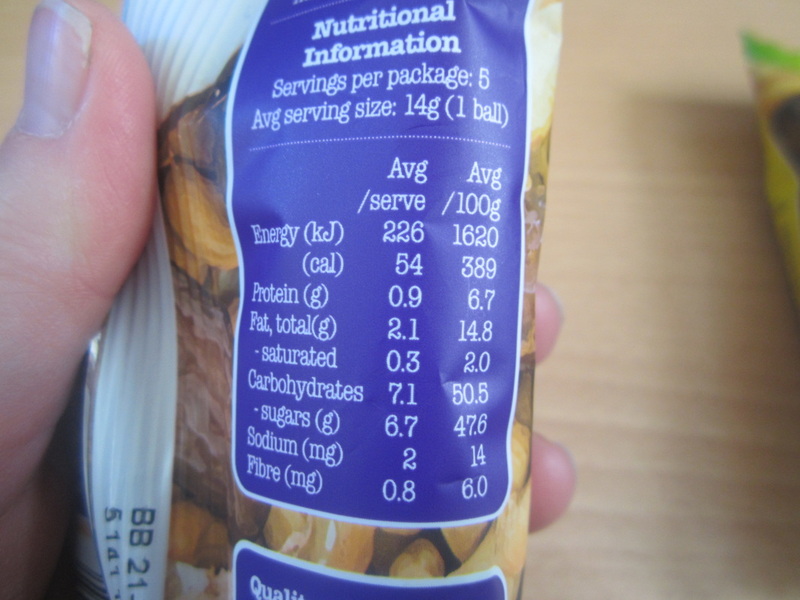 Mine was (almost) tomato free and lower in salicylates. My daughter's was cheese free. Sometimes one just wants finger food, and pikelets topped with whipped cream, a drizzle of maple syrup and maybe some berries just hits the spot. So simple to make too! Method: Use the Healthy Pancakes recipe, except up the xanthum gum to 1/2 tsp, and swap the oat flour for buckwheat flour (this second part is optional). 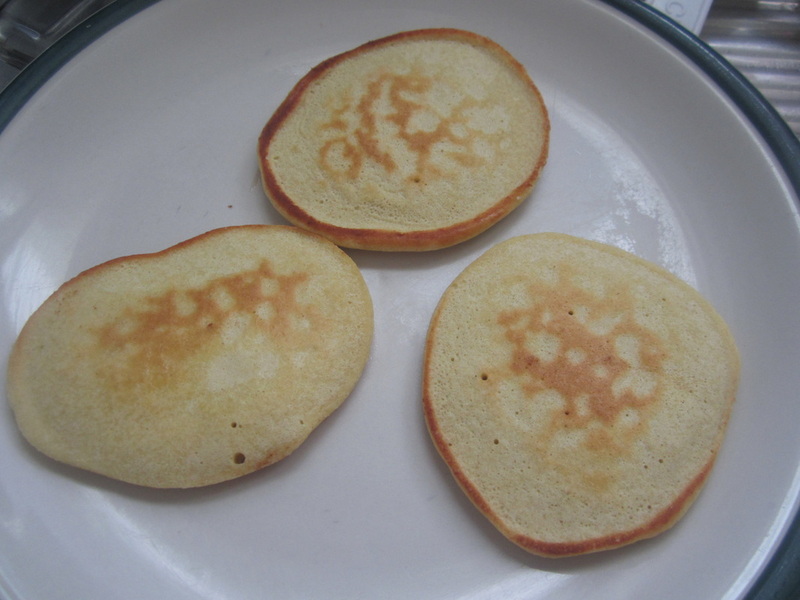 Melt some butter in a non-stick frying pan, and add a spoonful of the mixture at a time, forming 3 or so separate pikelets in the pan at a time. Cook until brown on the bottom, and which time the first bubble or two should have burst on the top, and then carefully flip over and brown on the other side. Move to a plate, add toppings and devour! (Or keep in the fridge and use as needed). After the success of my Duck, Bacon & Onion casserole a couple of weeks back, and now wanting something lower in amines and salicylates, and with even more tender meat, I modified the recipe and came up with this. The meat was fall-apart tender, and the taste was good! 1) Place duck breasts in a pot, cover with water, and bring to the boil then simmer until cooked through, about 15 mins. Lift pieces out with tongs and place on a plate to cool down and dry off. 2) Pat chicken breasts dry, then slice into 1cm thick slices, place in a bowl with the oat flour and toss to coat. 3) Melt butter in frying pan, and fry the pieces until browned all over, then transfer to casserole dish. 5) Stir remaining flour into pan juices and cook one minute. Remove from the heat and whisk in stock, adding slowly at first and whisking until smooth. 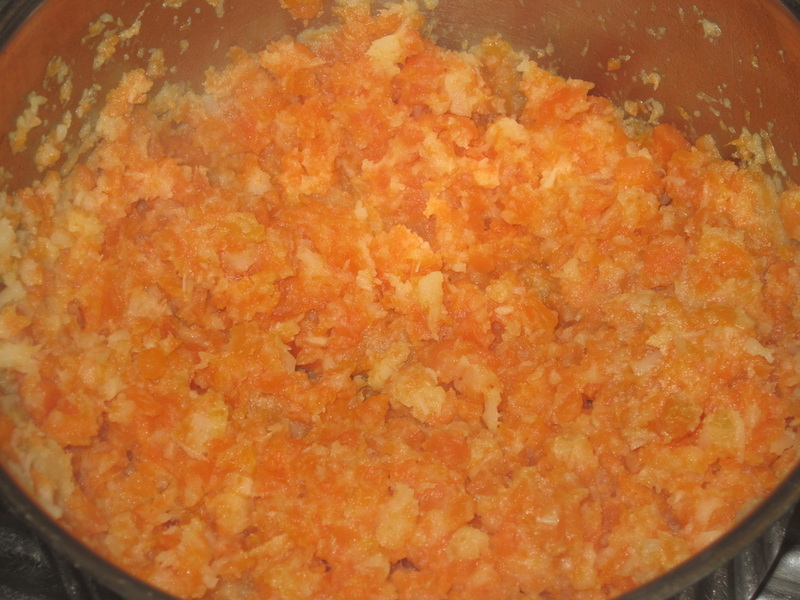 Place back on heat, bring to the boil, and simmer, stirring, until thickened - about 2-3 minutes. Add parsley and stir into sauce. Pour over the duck, bacon, leek and pumpkin in the casserole dish. 6) Cover and cook 170C for 1 1/2 hours, stirring a couple of times during cooking. Wanting some baked treats my amine & glutamate intolerant daughter could enjoy in her lunchbox, I modified some recipes for zucchini brownies I found online. This turned out really well - quite cake-like in texture, and tasty. 2 cups finely shredded zucchini - Don't squeeze out any liquid. Preheat oven to 175C. 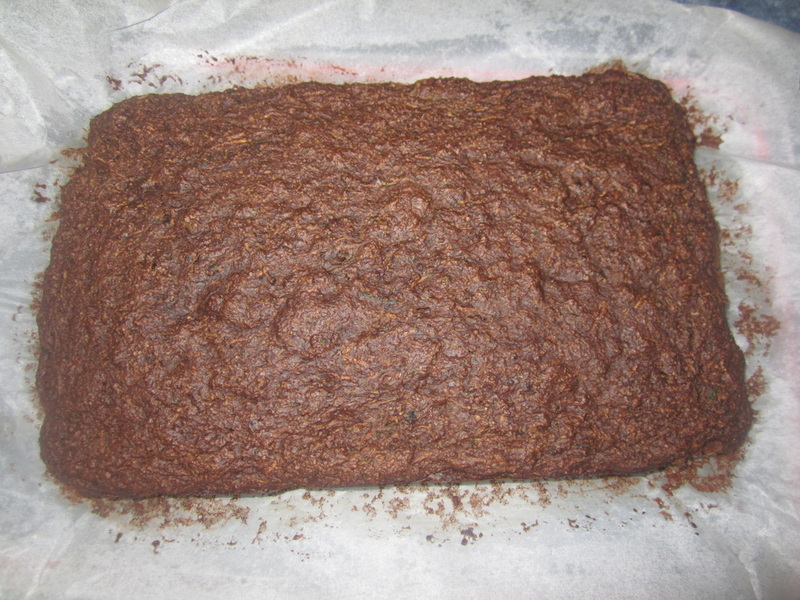 Oil a slice tray and line with baking paper. Mix together the oil, stevia blend and vanilla until combined and smooth. Add in oat flour, baking powder, and sieved carob powder and mix until well combined. It will be dry, but that is fine. Add lightly beaten egg and grated zucchini. Mix by hand until combined - don't overdo it. Spread evenly into slice tray and bake for 15-25 mins. The top should look cooked. A skewer will come out with moist bits on it, for a brownie finish. Cook until skewer clean if you want a more cake-like finish. 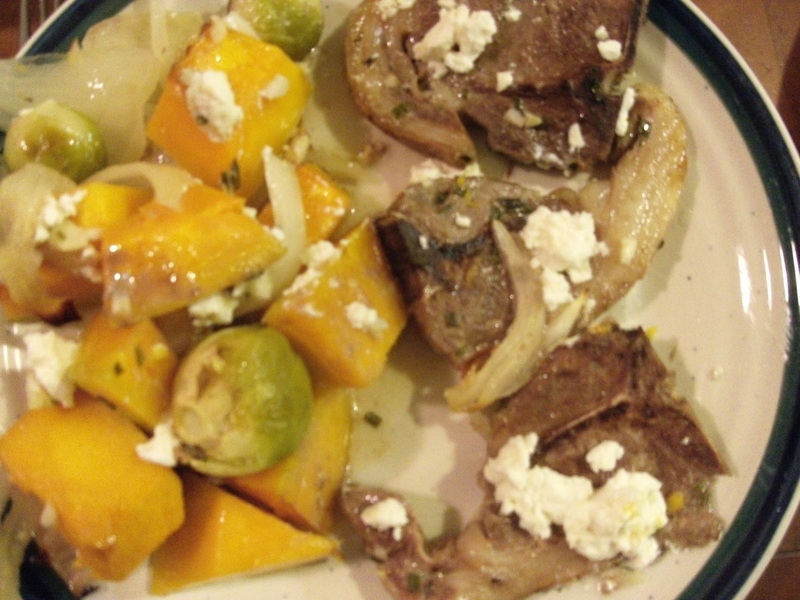 I saw a recipe for a one-dish Mediterranean lamb chop dinner. It had ingredients we couldn't eat or didn't like, so I used the concept and created my own versions - one low salicylate, one low amine/glutamate, and one for everyone else. It was really good! • Combine 2 TBSP olive oil, 2 tsp chives or oregano, 2 TBSP lemon juice and 4 cloves garlic in a large bowl. Add 12 lamb chops, turning to coat. Cover and refrigerate for 25 mins. • Meanwhile, toss 800g pumpkin or kumara, and 2 onions cut into wedges in 2 TBSP olive oil. Season generously with salt. 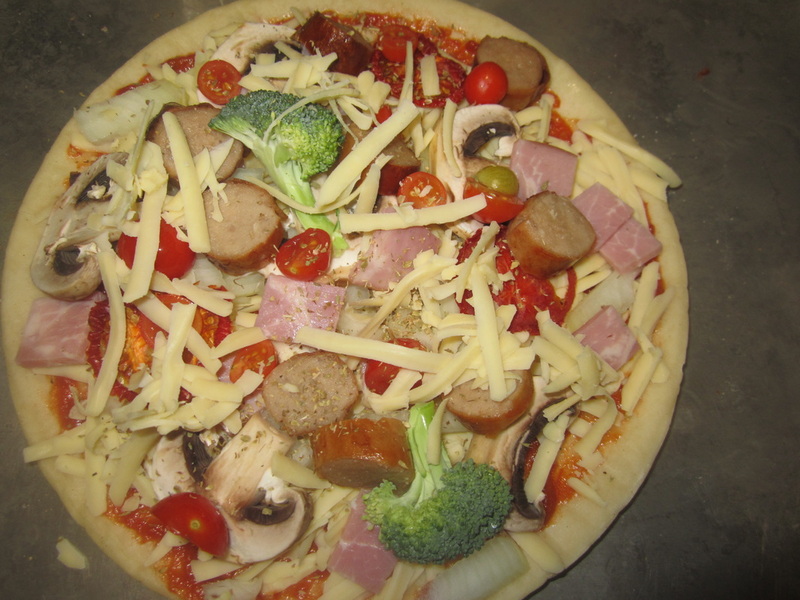 Place in a large baking dish and cook in oven for 25 minutes. • Add chops and marinade to baking dish with vegetables, and cook for a further 20 mins, turning chops halfway through cooking. • Remove from oven and immediately top with feta and rocket or spinach leaves. • Combine 1 ½ tsp sunflower oil, ½ tsp chives, 1 ½ tsp lime juice and 1 garlic clove in bowl. Add 3 lamb chops, and turn to coat. Cover and refrigerate for 25 mins. • Meanwhile, toss 200g kumara, sliced and some chopped leek in 1 ½ tsp sunflower oil. Season with salt, then place in a baking dish and cook for 25 mins. 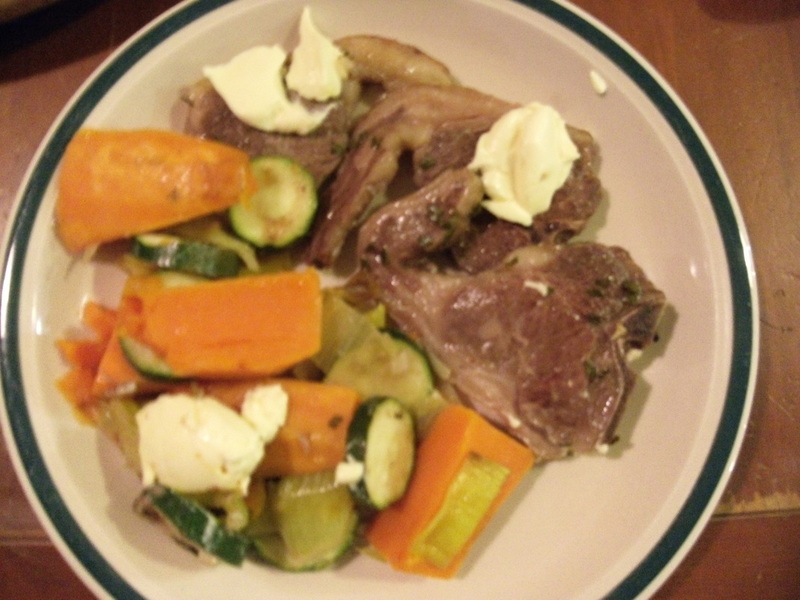 • Add lamb chops and marinade plus 1 sliced zucchini to dish with vegetables and cook for a further 20 mins, turning chops halfway. 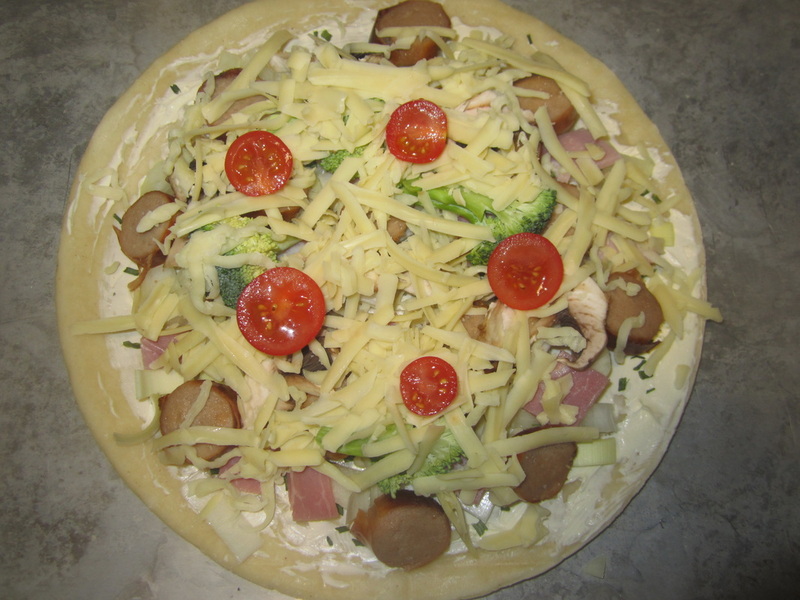 • Remove from oven and top with some small blobs of cream cheese. • Combine 1 ½ tsp sunflower oil, 1 ½ tsp lemon juice, ½ tsp basil and 2 cloves garlic in a bowl. Add 3 lamb chops and turn to coat. Cover and refrigerate for 25 mins. • Meanwhile, toss 200g pumpkin, 4 brussel sprouts and ½ chopped onion in another 1 ½ tsp sunflower oil. Season with salt, then bake for 25 mins. • Remove from oven and top with crumbled feta.